Tasting Notes: Its color is a deep ruby red with a faint garnet tinge. 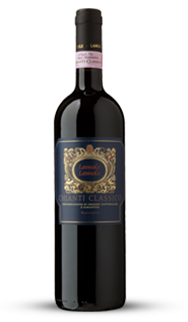 On the nose, the initial sweetish woody sensations make way for the elegant perfumes for which Chianti Classico is known, like hints of iris and spicy tones. On the palate, the tannic austerity of Sangiovese is truly traditional, and this is accompanied by the warm, savory notes of a wine destined for long aging. 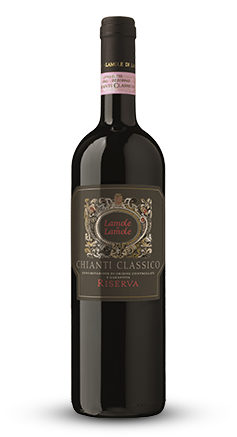 Food Pairings: Its powerful Sangiovese structure makes this wine suitable for a wide variety of food pairings, although highly flavored (non-fish) dishes are particularly recommended: grilled meats, salted pork, vegetables and cheeses. A perennial favorite, rich in nuances of oak, spices, and sweet fruits. 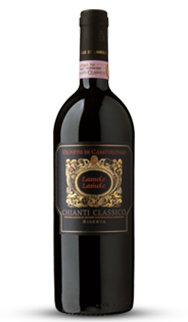 A truly exceptional Chianti Classico, with strength and complexity in perfect harmony.